ChiropractorWelcome to For Your Health Chiropractic! Located in the heart of San Jose, the leading health professionals at For Your Health Chiropractic are dedicated to helping you achieve your wellness objectives -- combining skill and expertise that spans the entire chiropractic wellness spectrum. Dr. Angela Ornelas is committed to bringing you better health and a better way of life by teaching and practicing the true principles of chiropractic wellness care. 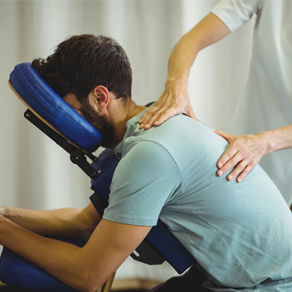 Patients seeking treatment at For Your Health Chiropractic with Dr. Angela Ornelas are assured of receiving only the finest quality care through the use of modern chiropractic equipment and technology. Dr. Angela Ornelas and the staff have a genuine concern for your well-being! If you are new to our website, please feel free to discover and learn about chiropractic wellness. If you are interested in starting your journey towards wellness please subscribe to our award winning newsletter. If you are already a newsletter subscriber, please explore the member wellness section of our website for wellness articles, resources, and health facts---specifically targeted by Dr. Angela Ornelas to your wellness needs and interests. Sign-Up Using the Form or Call Us At 408-559-6128 to Learn About Our Latest Offers! Dr. Angela Ornelas has been freeing people from pain in the clinic in San Jose, CA. As a Chiropractor with experience, Dr. Ornelas is committed to promoting optimal health and well being of patients. "Dr. Ornelas was able to dramatically reduce the constant pain I had with my piriformis muscle, and the tingling and numbness that I was experiencing. Thank you Dr. Angela! She has a calming presence and an amazing ability to zero in on the pain points and have it dissipate." "I was having lower back pain and knee pain. Dr. Angela helped me feel much better. She is kind and patient, and very good at what she does. If you are experiencing pain or discomfort, see Dr. Angela and she'll help you feel better soon." "Angela is an amazing Doctor! I was having nagging ongoing neck pain for years and she was able to support me through a few months of work that fixed me up like new. I would give her the highest marks possible as a Chiro genius!!" "I've had difficulty with my back for over 20 years. I have been seeing Dr. Angela this year who has been able to keep me pain-free with regular visits. She is very experienced and explains what she is doing as she does it. I wrenched myself by over-exerting myself and she worked with Rock Tape (kinesiology tape) to lessen the inflammation and allow me to heal more quickly. I would recommend her as an excellent chiropractor and suggest you try her out for a thorough examination and course of action." "Angela is the best. I sit for long periods of time for my job and I was experiencing terrible upper back, shoulder and neck pain. Her work with me has fixed my problems and I feel so much better. She is good to explain what she's doing and how it will help with your problems. She also sent me home with exercises to do to help me get to my goal of having full range of motion and no pain. I am pain free now and have been for a long time because of what she did. I highly recommend her." "She does a great job. I've been to lots of Chiropractors in the area. It's easy for someone to do too much with me and make things worse, but Angela quickly determined the appropriate treatment for me. I like the fact that I don't have to wait for days to get an appointment. Highly recommended."